This is the light version of the Electric Vehicle Charger Communications Board that is at its fourth version. 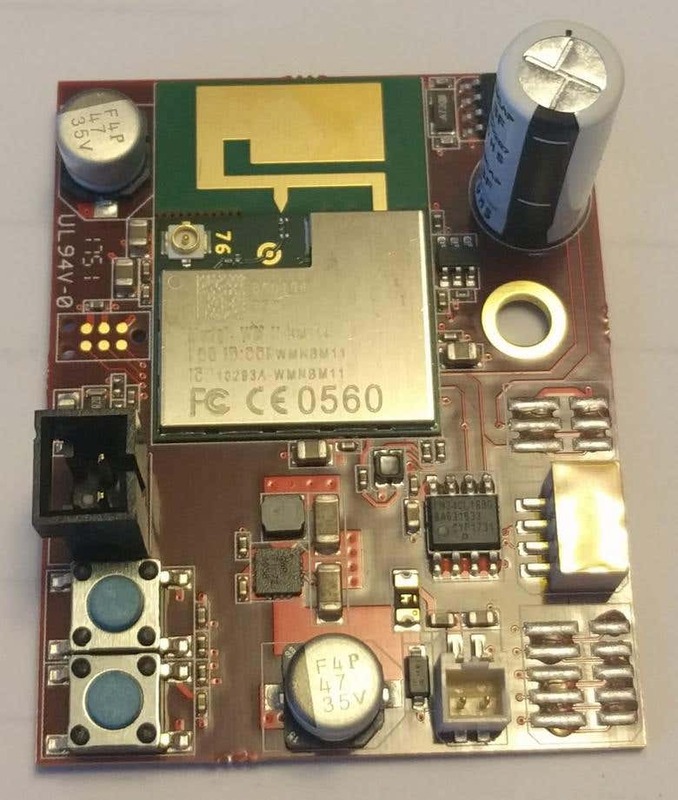 It has a P1 Main Board Controller, that contains both a Wi-Fi chip and a STM32 32-bit ARM Cortex-M3 microcontroller, sampling current capability using a Current Transformer, a Watch Dog, Real Time Clock, FRAM memory and some programming and utility headers. My responsibilities were to design the entire system circuitry, to create the schematics, schematic library, footprint library and layout the board.